School starts tomorrow and the my bag is packed. We made sure all ohiophotogrls books and pens and paper are in her bag. We charged all the devises she may need for class. We cleaned out her shoulder bag so that’s ready to go too! To everyone that is headed back to school this week have a great week and a fabulous school year! This entry was tagged 365, blog, fun, kid friendly, Mr. 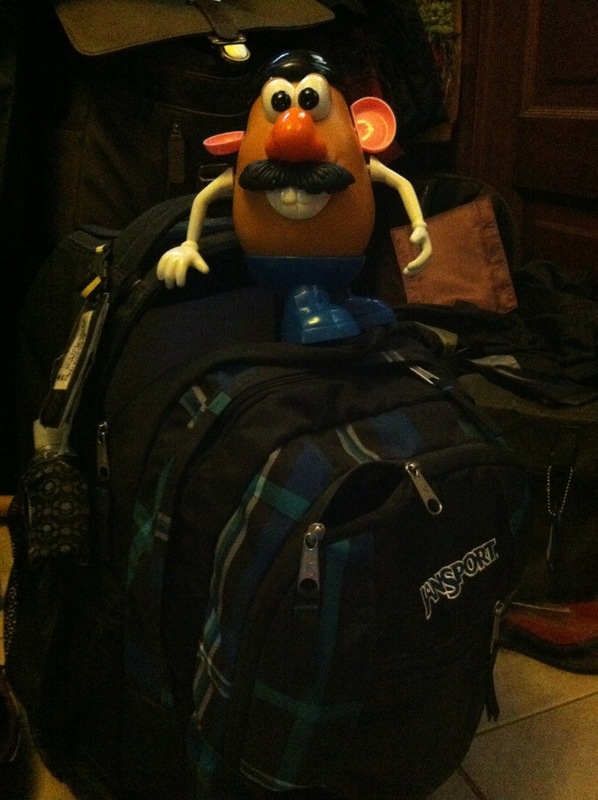 Potato Head, picture a day, school starting. Bookmark the permalink. Wow, that backpack looks heavy. I would need one with wheels.